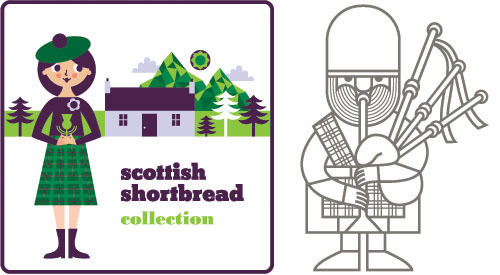 As New Year celebrations are traditionally a big thing in Scotland thought I’d post some Scottish related items I have at home along with two of my illustrations. 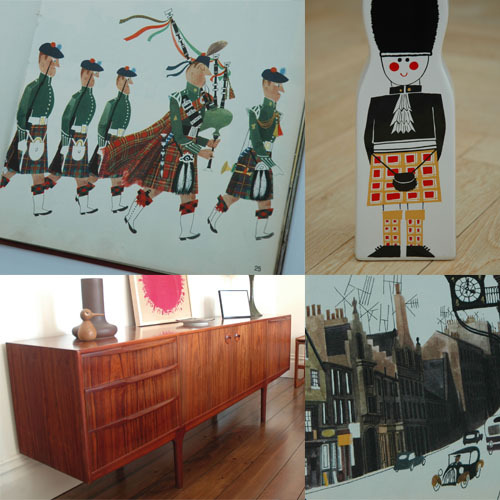 Pages from a very old copy of ‘This Is Edinburgh’ by the wonderful M.Sasek, 1960s Carlton Ware money box and vintage rosewood McIntosh sideboard made in Scotland. 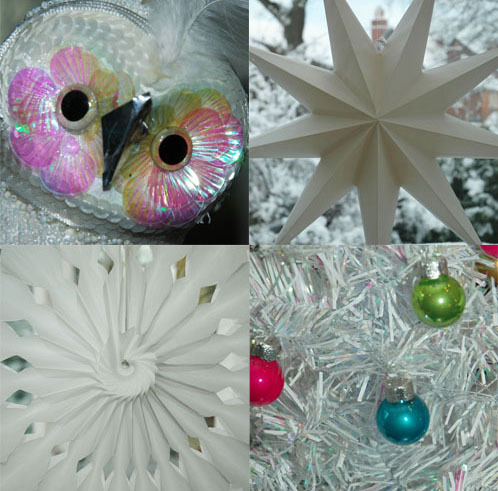 Wishing you a sparkly white Christmas! Last year’s card along with this year’s. 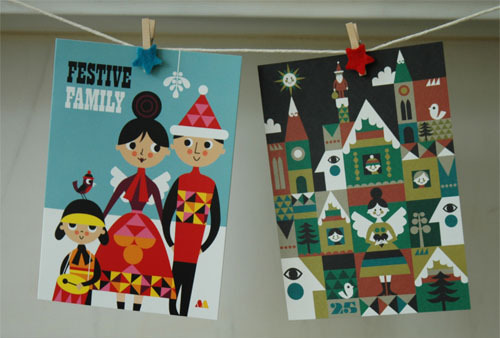 This is the Christmas card I produced this year to send out to clients and friends. 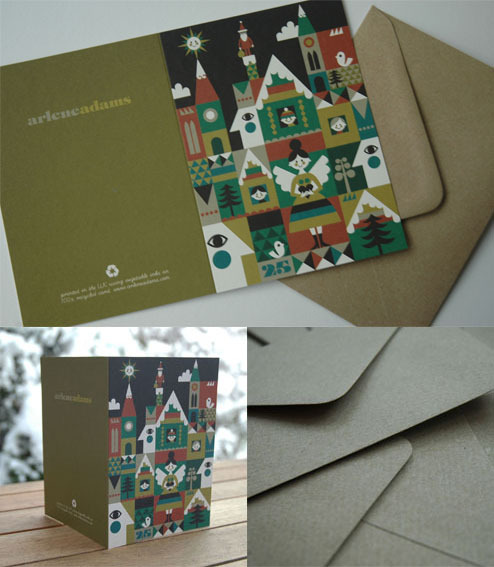 It is printed using vegetable inks on 100% recycled card and comes in a recycled brown/grey kraft envelope. 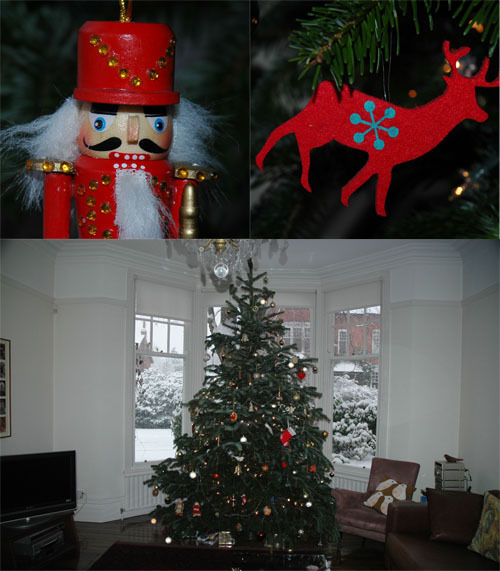 I bought these lovely Christmas presents recently from The Moseley Arts Market here in Birmingham. 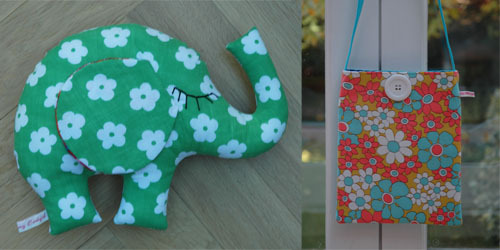 They are made from vintage fabric by The Whistling Cowgirl. I am very tempted to keep them myself and not give them away! 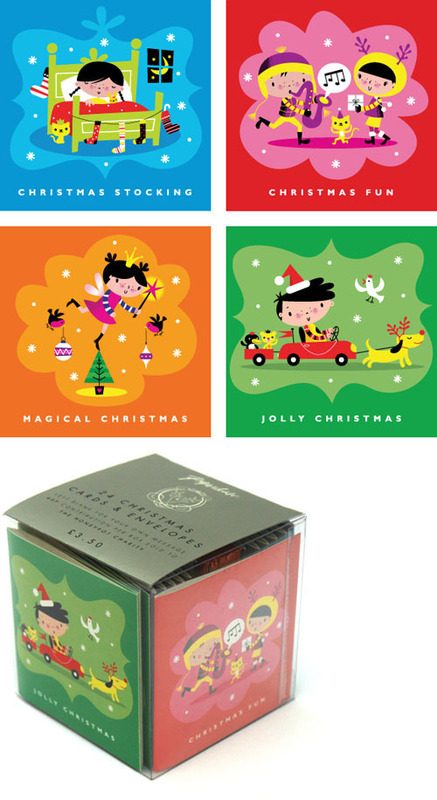 Here are some cards I did for Paperchase a few years ago. 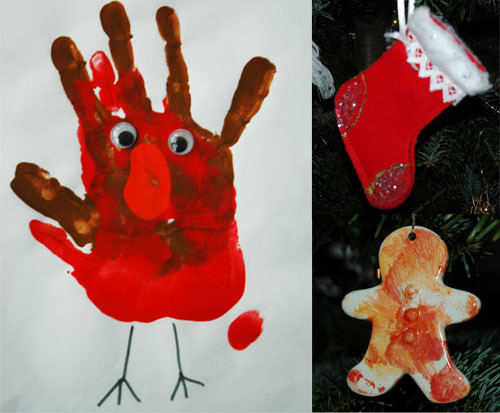 For more Christmas images look at the work section of my site. As well as doing my paid commercial work I like to do some work for the local community as well when I can. 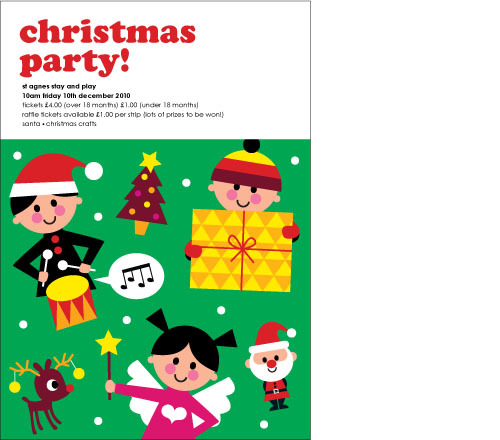 This is a poster I did recently for a local play group.